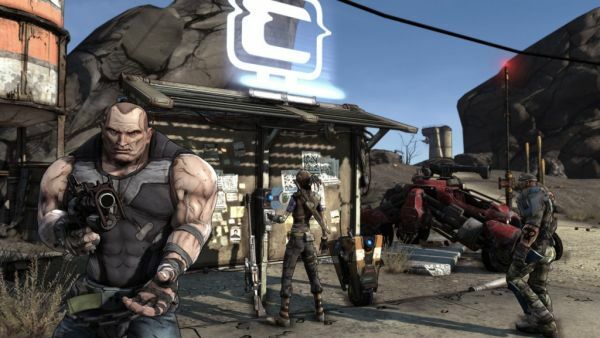 Gearbox has released the first patch for the PC version of Borderlands, squashing a few nagging bugs and adding features like voice volume control. The biggest fix has to do with leaving a co-op game causing a characters progress to be lost, which thankfully, no longer happens. Along with the patch comes news that Borderlands was the fastest selling original IP of 2009, netting around 550k units sold on the 360 and PS3 alone. This would put it ahead of Uncharted 2 on the NPD charts, and it doesn't include PC and digital sales of the product. Bravo Gearbox! We thoroughly enjoy the four player co-op gameplay and loot collecting, and it looks like everyone else does too! Don't forget we'll be seeing the first set of DLC for the game next week.